What would it be like, if more than two-thousand years later Christ walked this earth again? Would he be confused by the spread of technology or would he already know about it from having watched over mankind from above? João Cerqueira tackles this idea and more in his novel Jesus and Magdalene. There is much for Jesus to consider when he returns to the world of man. Such logical concerns as his paternity and the vehicle he decides to use to come back to earth. Scarcely is Jesus walking among men once more then he meets Magdalene. She is the newer version of her biblical-self: wrapped up in an environmental movement with Judas, Mary, Peter, James and others she works towards renewal of the earth. As if it was simply meant to be, Jesus joins her on her mission and we are left to wonder how much of the stories in the bible will play out again. If there is anything Cerqueira does well in this book, it is describing situations and surroundings. There is an explanation at the beginning of the novel where our author lays out his experience with Christianity and his thoughts on the matter. This is beneficial for those who cherish their faith and may take issue with the idea of a modern-day Jesus Christ. This should come as a comfort to those readers as Cerqueira certainly means no disrespect. However, while the writing is a plus, it is also a minus. Cerqueira is almost too descriptive or flowery with his language. His metaphors and similes are beautifully written but they cause the story to feel heavy. This, in turn, causes the read to be quite heavy and rely on the intellectual prowess of the reader. While this is not completely a negative for the reader who prefers something a bit more intellectual, for the casual reader this can be a detriment. The portrayal of technology and the development of character relationships is well played throughout the entirety of the tale. If you have never been an avid reader of the bible or studied any sort of religion while in school, you will not be lost. You can think of Jesus and Magdalene as a tale of two young adults who are trying to make a difference in the world. If you are familiar with these texts, you will find that there is much that overlaps with Cerqueira’s story. It is evident that the man has done his research and is not afraid to use that in his works. 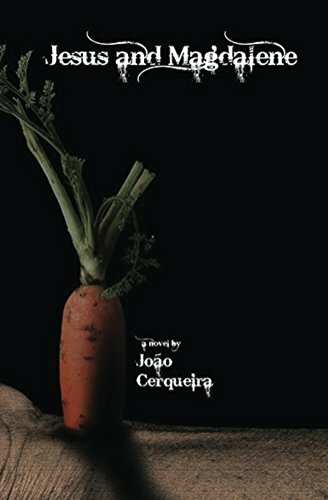 The language that author João Cerqueira uses is beautiful. For a reader looking for something heavier, thought-provoking and requiring footnotes, you cannot go wrong with Jesus and Magdalene.